Tough as a junk yard dog. Guaranteed. SETCO Solid Tires are synonymous with solid rubber tires. In fact, SETCO created the first OTR solid tires on rims. We build the world’s largest solid rubber tire and are the biggest solid rubber tire operation with our 100-acre facility. Also, we are the most capable of all solid rubber tire manufacturers with our central location and vast manufacturing capabilities. Proudly manufacturing and distributing from Idabel, Oklahoma in the USA! When it comes to providing solutions for customer driven needs and demands, SETCO has become known as the worldwide leader in solid rubber tire technology. SETCO has trained sales engineers in the field that make regular on-site visits to customers from coast to coast giving us customer service second to none. Building on the most experienced engineering, sales and production staff, SETCO is never found sitting still. SETCO has vast in-house and manufacturing capabilities which produces quality solid tires on rims quickly and efficiently. We use 100% natural rubber for its outstanding cut resistance and longevity qualities that are such an important part of the life cycle of a solid rubber tire. 70,000 lb tensile strength shredded wire is blended into an exclusive rubber compound, which allows us to produce the greatest cut resistant solid tire while maintaining maximum flexibility of the rubber. SETCO’s solid tires on rims are unique in their design and production. A SETCO solid tire is used in extreme and abusive applications where pneumatic or foam filled tires will not last. So tough, our solid rubber tires are known as “Junk Yard Dog” tires! At SETCO, we manufacture a variety of solid rubber tires in different designs created to fit the environment the solid rubber tires will operate in. 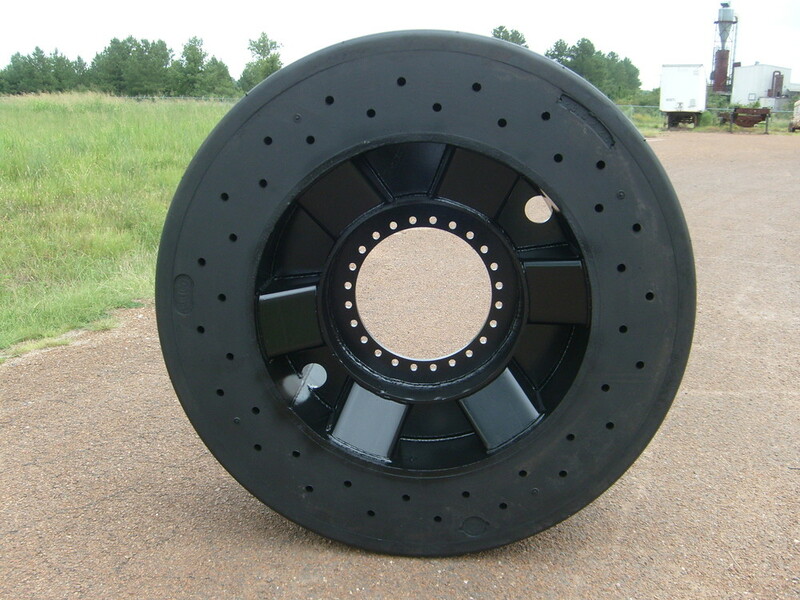 SETCO’s solid tires on rims are unique in their design and production. A SETCO solid tire is used in extreme and abusive applications where pneumatic or foam filled tires will not last. So tough, our solid rubber tires are known as “Junk Yard Dog” tires! At SETCO Solid Tires, we manufacture a variety of solid rubber tires in different designs, created to fit the environment the solid rubber tires will operate in. SETCO Solid Tires has such vast in-house and manufacturing capabilities which produces quality solid tires on rims quickly and efficiently. SETCO Solid Tires uses 100% natural rubber for its outstanding cut resistance and longevity qualities that are such an important part of the life cycle of a solid rubber tire. 70,000 lb tensile strength shredded wire is blended into an exclusive rubber compound, which allows SETCO Solid Tires to produce the greatest cut resistant solid tire while maintaining maximum flexibility of the rubber. SETCO Solid Tire is located on a 100-acre facility positioned in the central part of the U.S. which makes shipping no more than a 2 to 4 day point to anywhere in the continental United States. SETCO manufactures, from the ground up, solid tires or non-pneumatic tires, for all makes and models of equipment used in off the road applications and abusive environments where only a solid tire will work. Applications such as solid skid steer tires, solid forklift tires, crane tires, haul truck tires, front end loader solid tires, and solid tires for backhoes. SETCO also manufactures rubber cutting edges. SETCO’s in-house machining and fabrication department is the beginning of SETCO’s solid tire manufacturing process. Only the finest materials and state of the art equipment are used in creating the industry leading solid tires on rims. 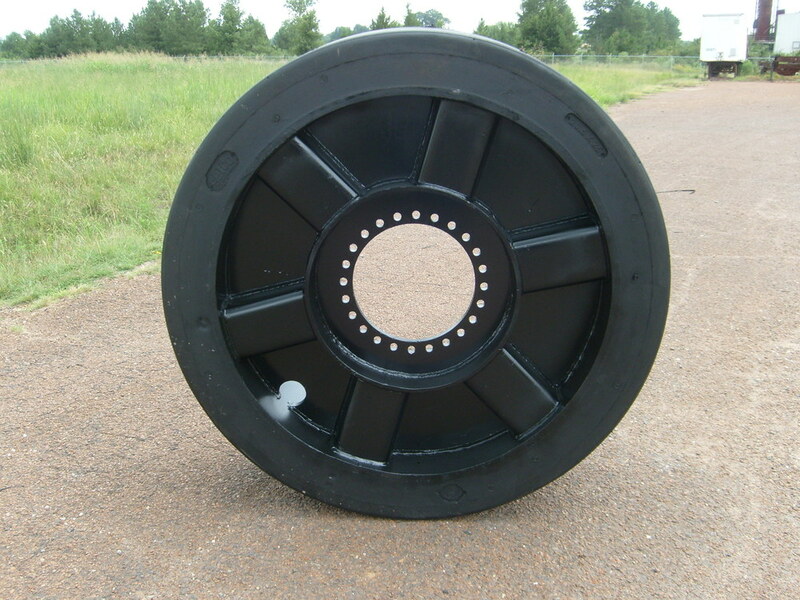 SETCO has the ability to custom design solid tires for any application. The dimensions of SETCO solid tires can easily be adjusted to fit any individual needs such as height and width of the solid tire. SETCO’s exclusive rubber compound maximizes cut resistance and longevity in all solid tire products.